So here’s the scenario, ripped right out of my own life. Student goes to the head chef at dining services. Asks if the dining staff will be making Kosher for Passover food next week. The student is, not surprisingly, upset. How can the dining hall not honor one of the major religion’s major holidays? It’s a valid question. And a lot of people, especially the parents, quickly become upset. But a little bit of digging reveals the answer: the chefs won’t be cooking Kosher for Passover food because the university is having it catered off-campus and brought in. The chefs had been truthful. But they’d only had part of the truth. So what’s this got to do with fiction? Think about it. Think about how characters routinely ever learn only part of the whole picture. This is what fuels Big Secret plots, for instance, where part of the obstacles facing the characters’ relationship is what isn’t said. Think about how withholding part of the truth can influence the direction a mystery takes. Take a look at your WIP. 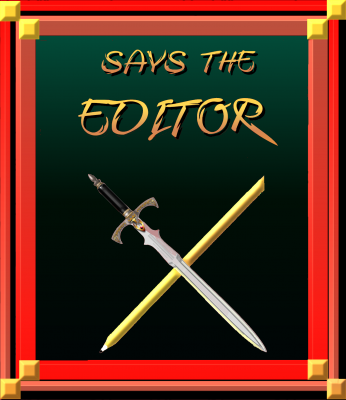 Are your characters being TOO forthcoming? Are they holding too much back? How does what each character chooses to say — or NOT say — influence and affect the plot? It seems simple, but… it’s not. We authors often have impulses to tell what we’ve shown, and sometimes, we let that spill into the words that tumble out of our characters’ mouths. On the flip side, we think our characters are being oh, so clever when we have them withhold certain stuff. But are we doing justice to our fiction when we do either?